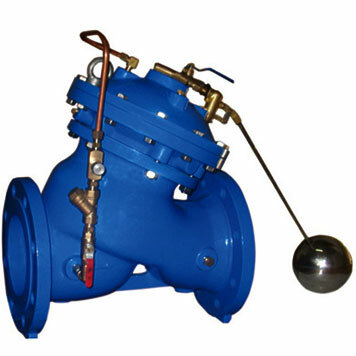 F745X Float Control Valve is mounted in the water inlet pipeline of the water pool or tower. F745X Bi-Level, Non-Modulating float-Control Valve will close automatically when the level of the pool reaches the preset one and open to supple water when the level is lower than the preset one. a. Tightly and reliably closed. 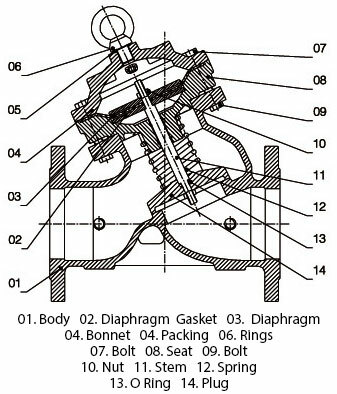 Use of secure O-ring seal and hydraulic control principle makes the closing force of the sliding disk proportional to the water pressure, leaving a high reliability of the seal. b. Big flow. 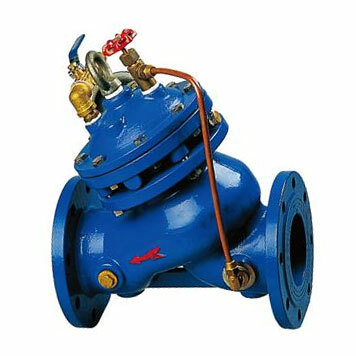 The valve body is designed as the full-path stream-line type, causing small fluid resistance and big flow. c. Safe running. Use of hydraulic operation can control automatically the level of the water pool or tower very accurately. d. Easy use and maintenance. Installation on the outside of the water pool makes the main valves debugging and checking easy and maintenance simple.